Afghan security forces fought back against gunmen who attacked the Indian Consulate in Herat on Friday, killing two of the insurgents. The Indian Embassy in Kabul told NBC News that none of its staff in Herat were hurt in the attack. The provincial police chief said none of the gunmen managed to penetrate the consulate's perimeter, and two of them were shot dead. 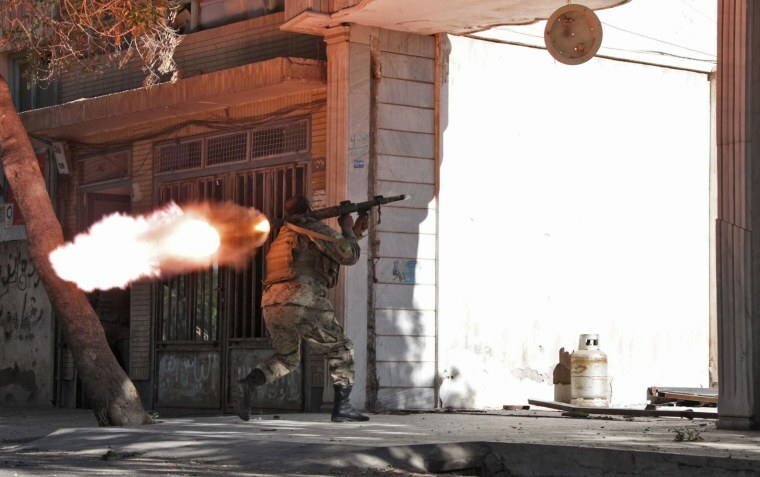 Above, a soldier from the Afghan National Army fires his weapon during a gunbattle with the attackers.